What Can I Do to Tempt You? 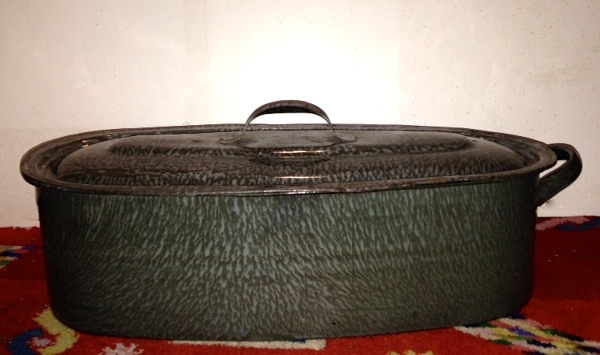 My Summer Flea Market: Fish Poacher. Bob Wade Prints. Carpenter's Sign. 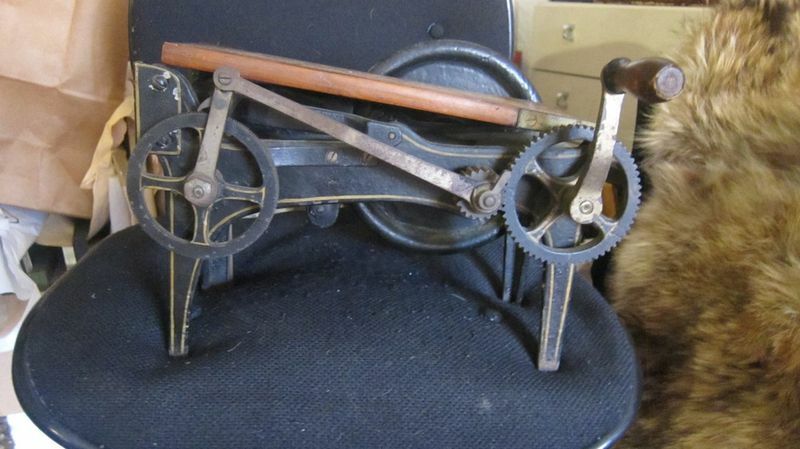 Antique Pasta Machine. Coal Scuttle. 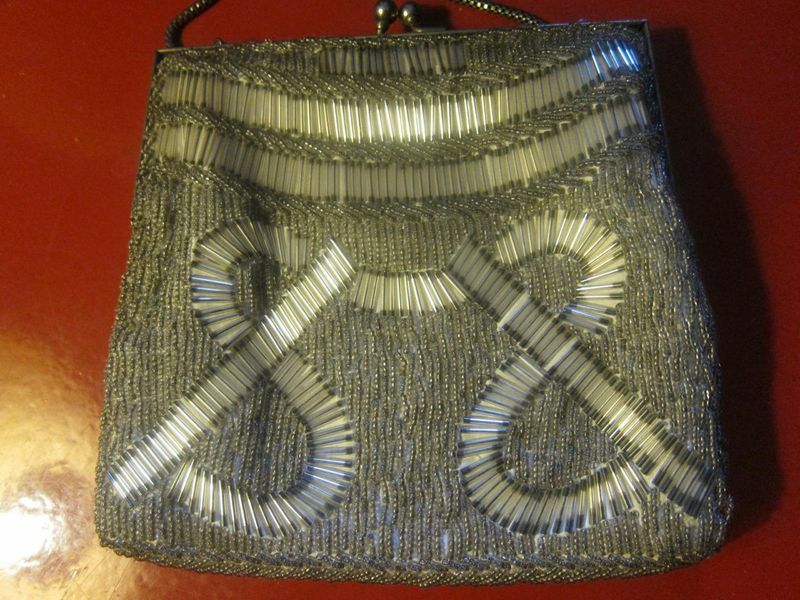 Vintage Evening Bags. Brooches. Rooster Weather Vane. Steven always indulged my flea market obsession. He found markets compelling, mysterious, full of wonder. He hid his camera inside a cotton vest, his eye ready for the captured moment. In Paris, we would stroll through Vanves on Saturday, feigning nonchalance in the event of unearthing a serious find. On Sunday, we'd take the Metro to the end of the line at the Porte de Clignancourt. I'd get down to serious bargaining in the market of Serpette or the sprawl across the street while Steven studied the antique carpentry tools. Often we would meet a friend for lunch, mussels au vin blanc or fris�e with lardons and a poached egg. Settled in Beijing for the month of March in 1997, Steven and I spent every weekend in the Panjiayuan (Dirt) Market. He had never been much of a collector, but in that sprawl of trash and treasures he discovered bargaining -- a thrilling sport. Of course, all of India was a teeming, tempting bazaar. Shelves in our apartment are filled with his stone signature stamps, Buddhas, masks, betel nut cutters and Ganesha the elephant god. If you read this newsletter, or my tweets, you know I've been trying to find new homes for some of my precious clutter. 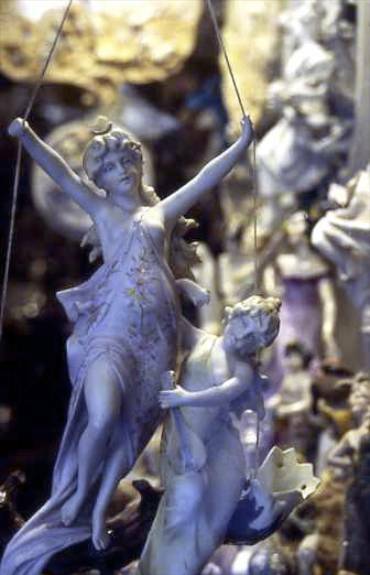 Now, hoping the end of summer might have put you in an acquisitive mood, here is a motley assortment of treasures. I found this enamelware fish poacher in a box of kitchen stuff. It's exactly what you need to steam or poach a large striper or bluefish, even a very large one. 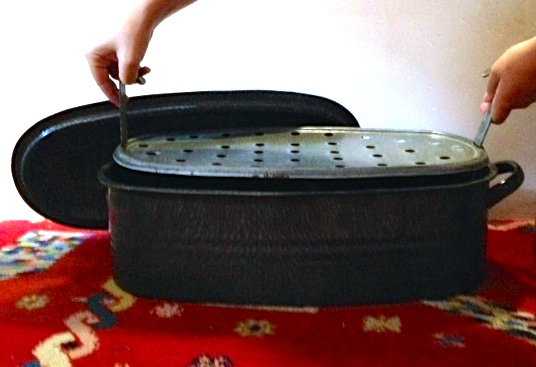 There's a lifter inside so it doesn't break when you try to wrestle it to the platter. The pot is 21 inches across, 10 inches wide and 6 inches deep. It was missing one handle when I bought it. $150 plus shipping. Or pick it up from the front desk in my office. Steven knew the artist Bob Wade from installing his work at t he Aspen Art Museum. 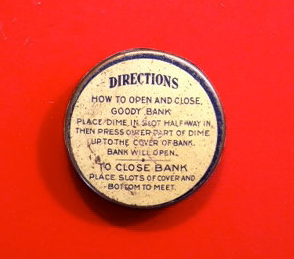 Read about Bob "Daddy-O" Wade by clicking here. When we ran into Bob and his wife in Santa Fe, he was eager to take us to his favorite Tex-Mex joint. And the next time we met he sent me two of the marvelous prints that are his signature. 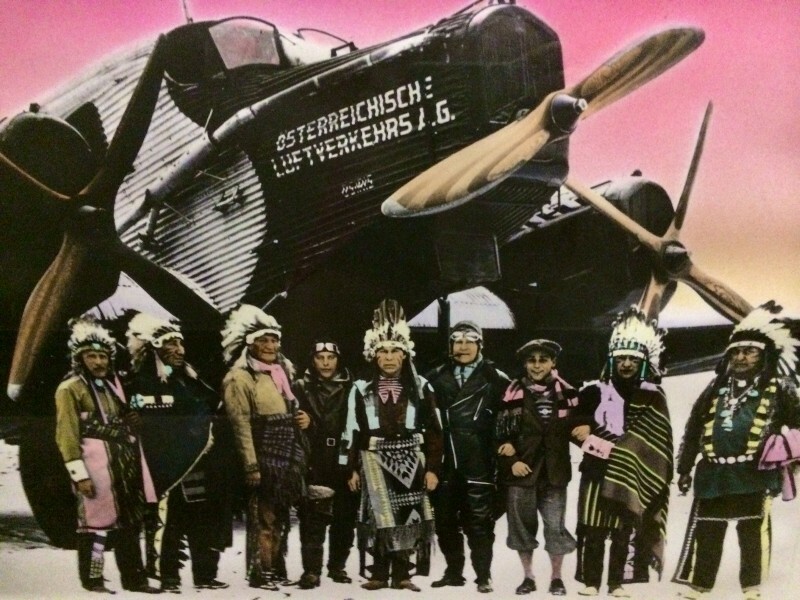 Wade takes old postcards and vintage black and white photos and prints them on photosensitive fabric. Then he airbrushes them with transparent layers of acrylic color in muted tones. 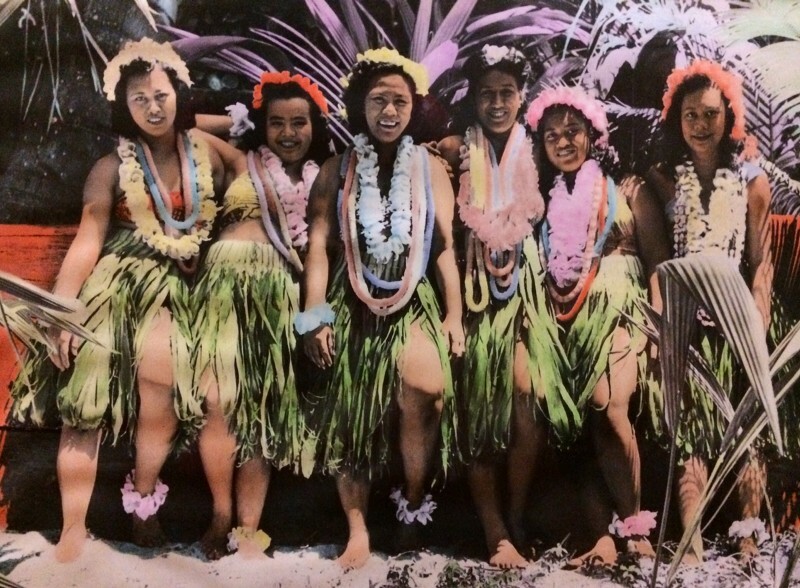 My prints, "Hula Girls" and "Indian Warriors," are framed -- image size 11" X 19", framed size 17�" X 25." $400 each. 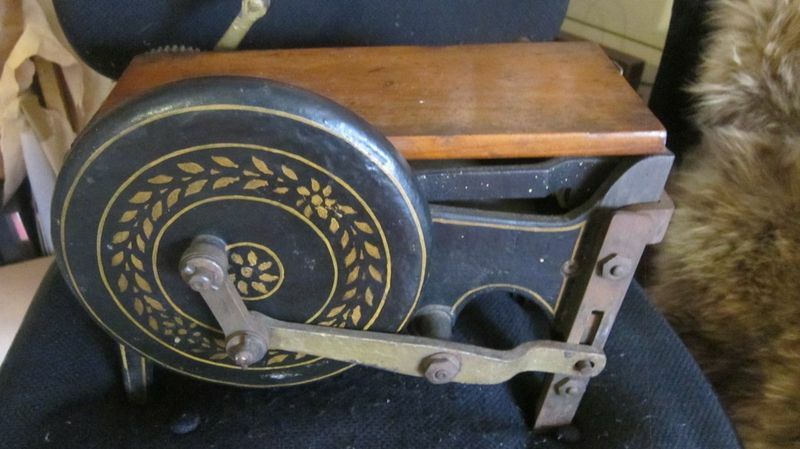 Made of wood and wrought iron with a decorative gold paint, this handsome vintage pasta machine has a wheel that turns to knead and stretch. $100 plus shipping. Or pick it up. 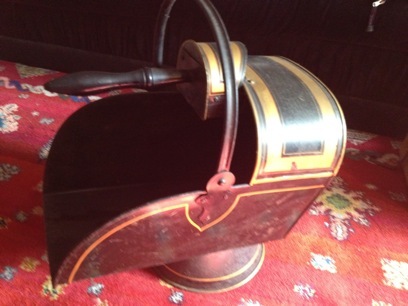 I saw a coal scuttle just like this vintage black and gold tole one here at Treillage for some shockingly ambitious price. But mine has a small dent and needs to be polished. We used to fill it with bright straw flowers and keep it in front of the fire- place in our church at the 4 corners in Zena, near Woodstock. It has its own scoop, of course. $195 plus shipping. Or pick it up. I've sold dozens of my precious, unique vintage evening bags si nce I decided it was wanton to keep them wrapped in tissue paper in my drawer...or even lined up unworn in my closet. Some had hung so long on the wall or on my bookcase that I was not really seeing them anymore. Only when I took them down to photograph, describe and later, wrap in tissue to deliver to purchasers did I come to really see them again -- the extraordinary engraving on so many frames, the whimsical beading, the careful lining with embroidery braiding. In a few bags, I even found a card inside I'd forgotten. Like this small gift enclosure card I kept on my desk: "You will be in my life forever," it says, with an arrow pointing to the other side. "And now for the good news." My closest friends will know who that was. I am often surprised by what bags sell and which do not. Bags I would buy again in a minute languish unloved. Why have the smart snake clutches. so modestly priced. mostly not sold, when apparently someone out there is buying Chanel bags for several thousand dollars and bulky Birkin totes? Oh, never mind. I guess a bag lady -- accidental or otherwise -- is just another incurable collector. I don't regret anything I ever bought. Just some of what I left behind. That marvelous wire birdcage in Amagansett twenty years ago...it was only $1200. It's not like I didn't have the money. As you can see, I'm still suffering a bit. Here are some bags I love. The silver bugel bead $65. 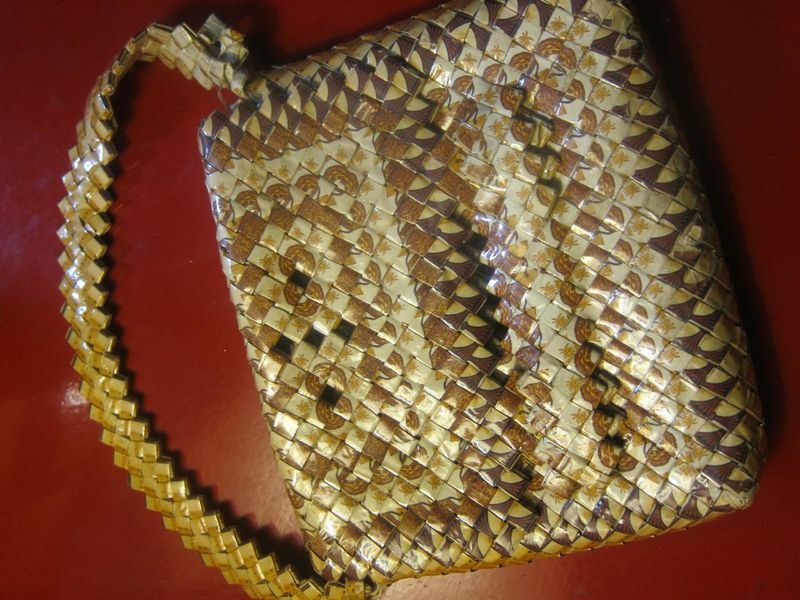 The handbag woven of Camel cigarette pack $95. 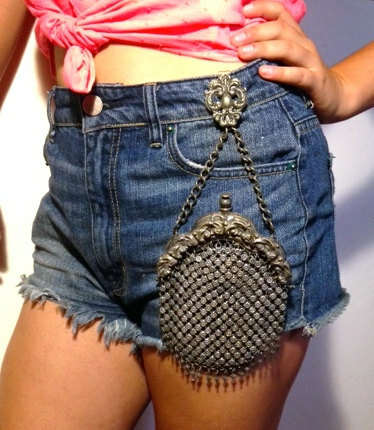 The exquisite silver bag with a handle that tucks onto a belt $195. 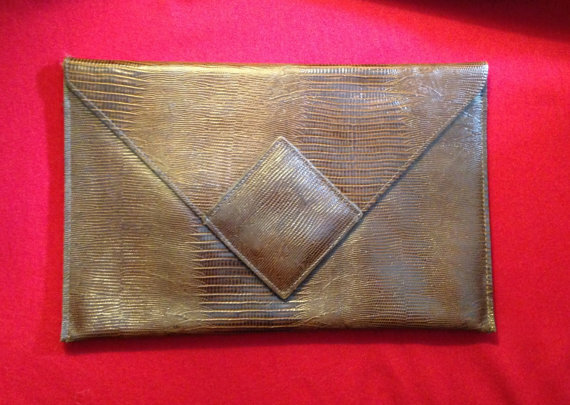 The brown lizard clutch $75. The brown snake with tortoise shell Bakelite frame $225. PLEASE NOTE: All bags $100 and up are 30% off till 10 am on Tuesday. 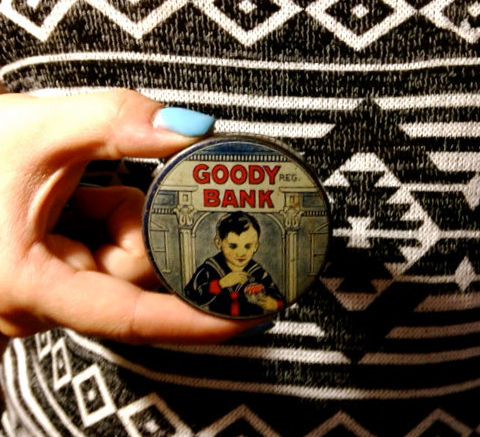 Next week, we'll be adding 10 fabulous new items to our shop, including this charming tin Goody Bank. Click on Etsy to learn more about them and see the rest. Recently I went through my jewelry drawers and pulled out most everything I don't wear. It seemed easier than going through all those clothes I haven't worn for two decades in the upstairs closet. I plan to post the je welry for sale on my Etsy site this fall, but meanwhile you have an advance look -- I am known for my amazing collection of large brooches. Jerry Kretchmer, one of the owners of Gotham Bar & Grill says a restaurateur asked him some years ago how to recognize me. He told him: "She always wears a large brooch over her heart. 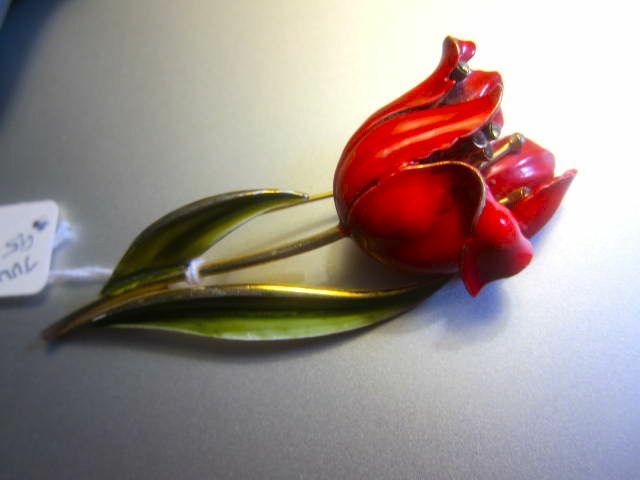 Please email me if you want prices on broaches. Here's a perfect gift for Marcus Samuelsson or Paul Bocuse or any other rooster fancier you know. 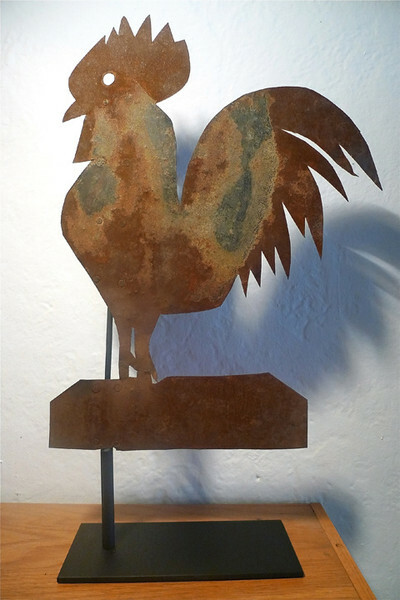 It's an early folk art rooster on a stand we had made especially for it. It's 24 inches tall, 14 inches at its widest. The base is 10" by 4". $250 plus shipping. 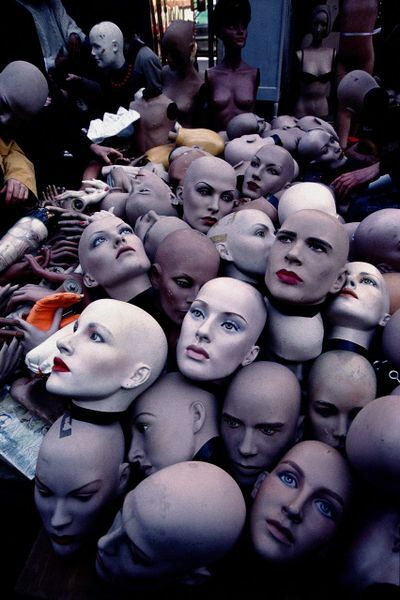 Photographs of mannequin heads in the Vanves market in Paris and an antique shop window in Barcelona by Steven Richter, and the Bob Wade prints "Hula Girls" and "Indian Warriors" owned by the artist may not be used without permission from Gael Greene or Bob Wade. All rights reserved.